A market size of more than a billion mobile wallets. Acts as the single point for all payment collections. Access to communities that are unbanked, do not utilize / have access to bank cards and are wary of online transactions that involved credit / debit cards. Choose from flat-rate, per usage / session or on a subscription basis. Accessible transaction platforms anytime, anywhere, at any value with just a mobile number, security password and / or fingerprint. Customized SDK for web-based (WEBkit) to mobile applications (APPkit) and back-end systems (API). Access to over 50 mobile operators across Asia with just one direct connection. 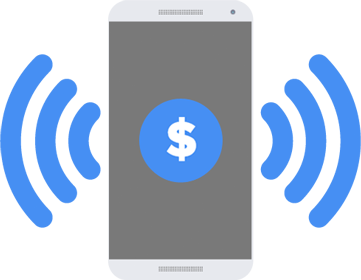 Enabling secure, effective, convenient and wider payment engagements options on mobile. Real-time interactions to ensure efficiency of distribution, delivery and billing of quality mobile games across different devices and geographical boundaries. Real-time mobile music downloads, from ringtones to full-track music as well as music videos. Secure and efficient monetization system that connects music lovers anywhere, anytime. Efficient billing processes, superior user experiences, one-click purchases / payments for digital downloads. Billing of preloaded contents and services in multiple devices including Smartphones / Feature phones / Smart TVs / Tablets and Computers. Additional revenue streams beyond device manufacturing and distribution. 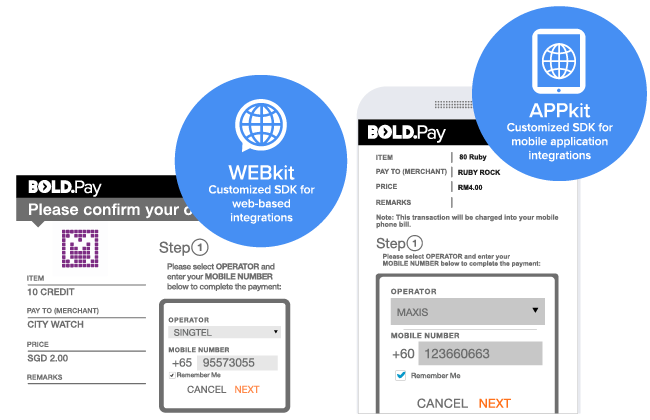 Innovative billing perspectives where users can make payments via mobile phone account. Do not own a credit / debit card / e-wallet. Do not want to expose their security information online - credit card number. Facilitates and empowers collaborations between app store operators, digital content and service providers as well as device manufacturers to generate new revenue streams. Defines and counteracts declining voice and pure-data revenues. Pre-Order purchases (meals / entertainment / vanity sets). Tailored packages (sports / dramas / documentaries). Add-on digital purchases (stickers / credits / gifts). special occasion shout-outs / voting / bookings.